Home › Flooring › Buying Hardwood Flooring for Your Home: Is Bamboo Flooring Expensive? Buying Hardwood Flooring for Your Home: Is Bamboo Flooring Expensive? Hardwood floors were once restricted to homeowners with large home project budgets, and for everyone else, there were only synthetic options to choose from like vinyl or laminate. Worse still, limited options consisting of awful mock wood vinyl, and only mildly better mock wood tiles. 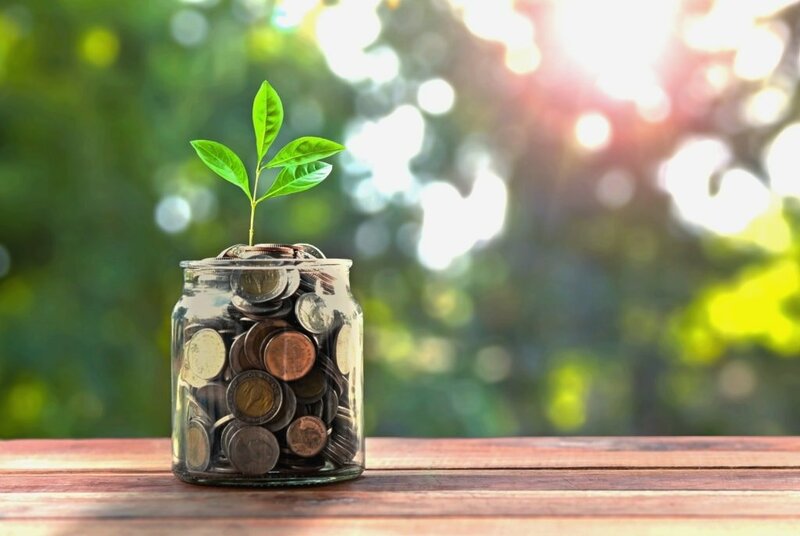 The desire for a more eco-friendly products is in alignment with the values of homeowners, and therefore is becoming increasingly important – luckily the number of ‘greener living’ tips, from interiors to gardens to non-toxic cleaning products, has flourished on the web. Personally, if I know my flooring is from a sustainable source, like bamboo, I know I’ve made a great long-term decision that’s good for the home and for the environment. Today, hardwood flooring is far more affordable – made possible by improved manufacturing processes and streamlined supply chains. Despite this, which hardwoods are more affordable remains an extremely relevant question. You’ll be pleased to know the answer is a positive, no! Compared to traditional hardwoods (such as oak, walnut and mahogany), bamboo is (ranging in price from $3-$6 per square foot from reliable online retailers), and lasts far longer. For example, strand woven bamboo floors rarely if ever need to be refinished under residential traffic conditions due to their hardness and the longevity of aluminum oxide finishes. In comparison, American hardwoods cost between $4.50 – $8, Teak costs $7 – $10, Sakura $8 – $12 and Kempas: $8 – $11 and they must be refinished every 10 years on average. Now, I see you’re doing the math very quickly in your head and a light bulb just clicked on. Bamboo flooring is relatively inexpensive when compared to hardwood. 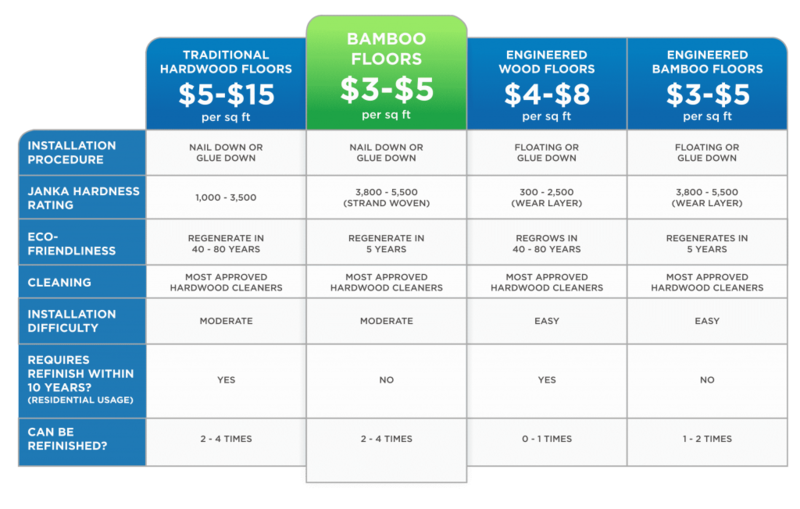 So you can see just how affordable this elegant and eco-friendly flooring really is – take a look at the cost of bamboo flooring here. The question about where different hardwoods fall on the spectrum between ‘cheap’ and ‘expensive’ is made more complex by the fact that each has a different lifespan. For example, bamboo is far more dense than oak, providing it with more durability, and is additionally the most water-resistant of all hardwoods. To help you in understanding durability and ‘hardness’ of various woods, we refer to something called the Janka Hardness Scale. This provides a chart of all hardwoods in relation to how much force would be required to embed a .444 inch steel ball into the wood. Strand woven bamboo flooring isn’t listed because bamboo is a grass, however test results show that strand bamboo averages between 4,000-5,500 on the Janka Scale. The higher the number you see on the chart, the harder the wood. This ultimately represents how tough the material is, and how much it can withstand during day to day use, and for the years to come.